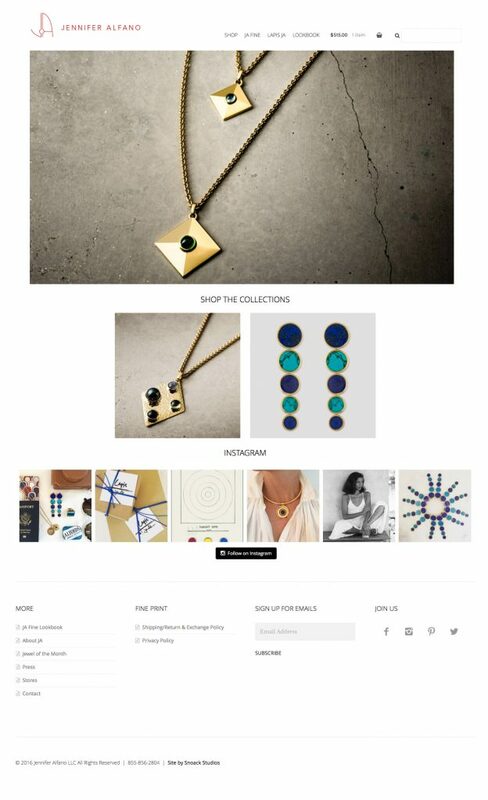 We recently launched a new website for Jennifer Alfano, who designs beautiful jewelry in New York City. We’ve worked with Jennifer for a few years now and have loved seeing the evolution of her jewelry and her website. 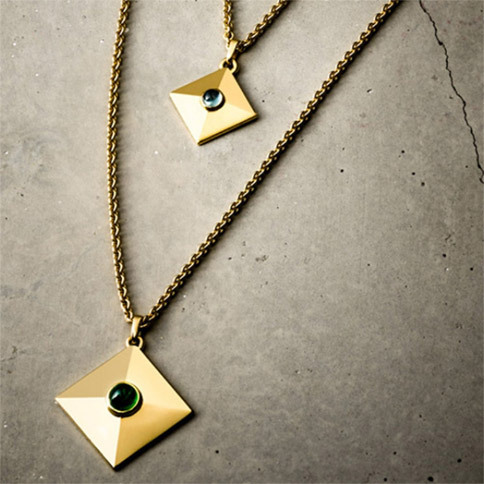 She offers 2 different lines of jewelry, the newest one launching with this website, Lapis Jennifer Alfano. Her original line, Jennifer Alfano Fine, includes pendants, earrings, necklaces, and rings, with many that include birthstones in the pieces. They are all beautifully made and we wanted a simple, professional, and elegant site that echoed the fine jewelry that Jennifer makes. Check it out at jenniferalfano.com. The website is very elegant with lots of open whitespace and a beautiful black and white color scheme. The thin, modern fonts add a great clean, modern look to the design as well. There are lots of great photos of her jewelry throughout the site, bringing some color and a beautiful aura to the site. The quality of the products really shine in the photos allowing the beauty of the jewelry to speak for themselves. The site is built with WordPress and the shop is run by WooCommerce, allowing customers to easily find what they are looking for and purchase right from the site. We love how the new site came out, and can’t wait to see how it evolves and grows! Jennifer’s pieces are beautiful, be sure to stop by the site to check out her elegant jewelry and let us know what you think of the new design in the comments below!